Totally safe - Paypal ensures safety and privacy when it comes to making donations online. Tax deductible - We will send you a receipt of donation each time you donate. Please include your address or email address in the notes. Any amount helps! - Whether you donate $10 or $10,000, every penny goes to these children and their families. You do not have to have a Paypal account to donate through Paypal. If you shop on Amazon.com for anything at all, please go to Amazon Smile (click here) and set Friends of Santa Claus as your charity of choice. Amazon will apply a percentage of any purchase you make to Friends of Santa Claus. It costs you nothing and would mean the world to our kids and families! We have so many items that can help make our events a success, and we've listed them all on the Amazon Smile Wishlist! If you purchase from the wishlist, it is sent straight to our front door. We are ever grateful for every single purchase from this list. Every single item goes straight to the families and kids we serve! 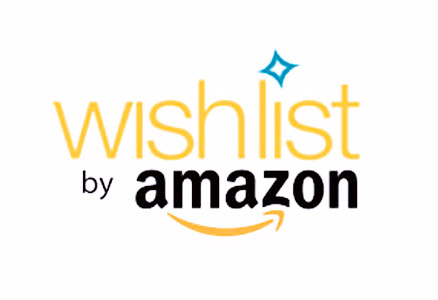 Visit our Amazon Wishlist by clicking here! Receipts will be mailed out ASAP with our sincere thanks. If you'd like to honor or remember someone through your donation, please send a note with the check. We'd be glad to do that for you. We are grateful for donations in any amount. Friends of Santa Claus has no paid staff, so every single penny makes a difference in the life of a child with cancer. If you would like to donate in honor or in memory of a specific child or loved one, please let us know. We would love to help you honor that person in this way, and what a blessing that donation will be to others who are still fighting. Thank you!